What is ATP? What is cellular respiration? Why are they so important? How do we get energy from the food we eat? and Why? What other concept that we learned about this year has to do with OH- ions? How is ATP broken apart and energy released from this molecule? How many molecules of ATP can be formed from just one molecule of glucose? What are the products of glycolysis (or breaking apart of a glucose molecule)? Anaerobic respiration is accomplished in the absence of ________; this is also known as _______________. The two main types of fermentation are ________ and ______ acid. Where does the Kreb cycle take place in the _____ cell? NAD and FAD are ________ that are good at picking up high energy _______ and _______ ions and ______ this energy for later processes. In what organelle does the electron transport chain occur? What is the movement of a substance from an area of high concentration to an area of low concentration called? 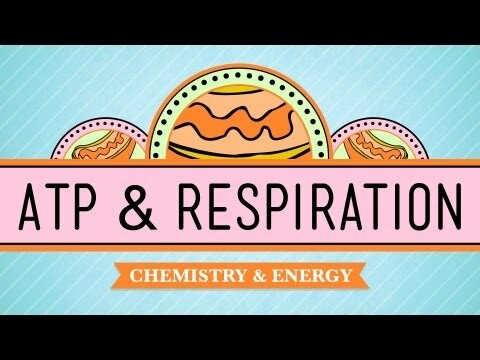 Which stage of cellular respiration makes the most ATP?